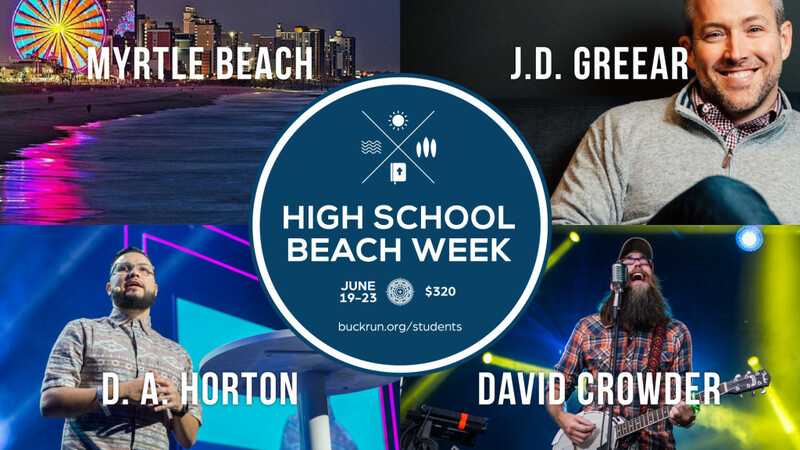 Beach Week is a Christ-centered conference-style camp for 9th-12 graders (2016-17 school year) in Myrtle Beach, South Carolina. It includes engaging worship from David Crowder and Christy Nockels and doctrinally sound Biblical teaching from JD Greear and D. A. Horton. Beach Week includes worship and Bible study each morning and evening with plenty of time for the beach each day after lunch. This fun and exciting week both challenges students spiritually and provides plenty of time to relax and have fun! Join us for Beach Week June 19-23. A $100 deposit of the total $320 cost is due by April 30.